There is a strong link between SEO and PR. Google loves in which are in context is great website and doing PR the right way can be a great way of getting links back for your site. 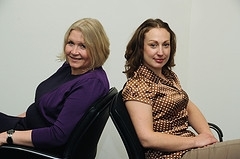 My friend Claire has just launched a new venture called SEO PR Training with Nichola Stott, both these lady’s have a great reputation in London for delivering high quality work. The company ‘does what it says on the can’, offering tailored SEO training to PR people and strategic media skills training to SEO practitioners.